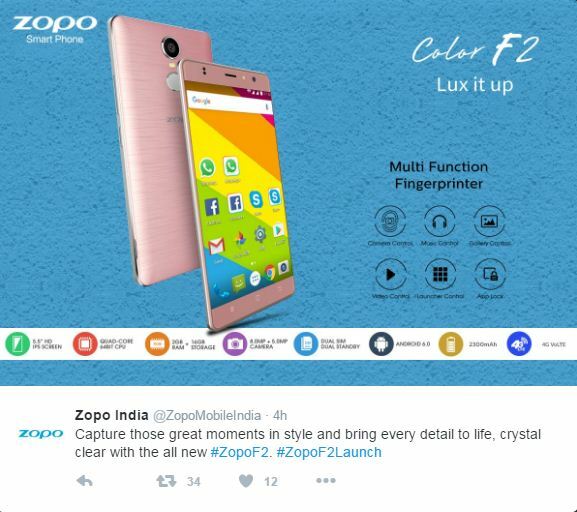 Zopo Color F2 Smartphone Launched Specification Features Price Review : A Chinese based smartphone manufacturing company – Zopo has officially launched a new affordable 4G enabled Smartphone under its ‘color series’ in India – the Color F2. The smartphone is now listed on the official website of the company with details and features. This smartphone is the successor of last year launched Zopo Color F1 smartphone. The smartphone will be available in three color options – Gold, Black, and Rose Gold Colors. The smartphone will be exclusively available to buy through offline retail stores from 9th November 2016. 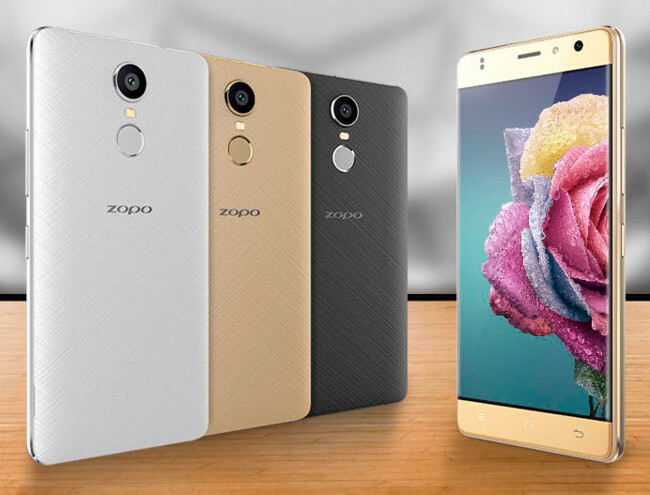 New Zopo Color F2 Smartphone features a 2.5D curved glass with 5.5-inch HD display and 720×1280 pixels resolution. Paired with 2 GB of RAM. Supports dual-SIM with 4G connectivity and runs on Android Marshmallow 6.0 OS out of the box. Features a fingerprint scanner which is placed under the rear camera. Fingerprint sensor can be used as shortcuts to control camera, gallery, capture your selfies, music, and other significant features of the handset. New Zopo Color F2 is equipped with an inbuilt storage of 16 GB out of which 11.13 GB is user accessible. Internal storage can be further expandable up to 64 GB through a micro SD card. Supports an 8 MP Primary rear auto focus camera with a LED flashlight, that can record HD Videos at 30FPS. Also supports a 5 MP Secondary front facing camera on board with a LED Flashlight for video calling and mainly for better selfies. Features floating video integration (PiP video, to keep your videos playing while using other apps). Packed by a 2300 mAh removable battery pack. It seems that this phone is cool in this range and also give so much features like fingerprint sensor and floating video integration features. The smartphone will be available in three color options – Gold, Black and Rose Gold. The new Zopo Color F2 smartphone will be exclusively available to buy through offline retail stores from 9th November 2016 across the country.